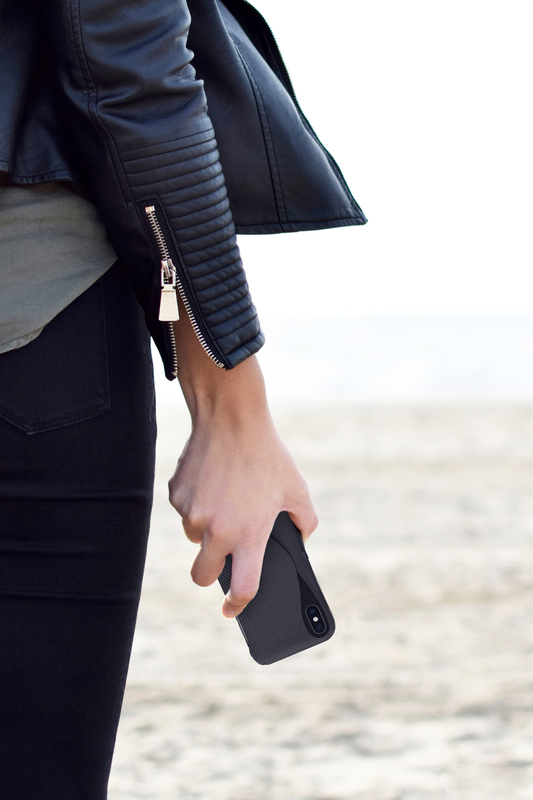 The sculptural Fold Case is as functional as it is elegant. 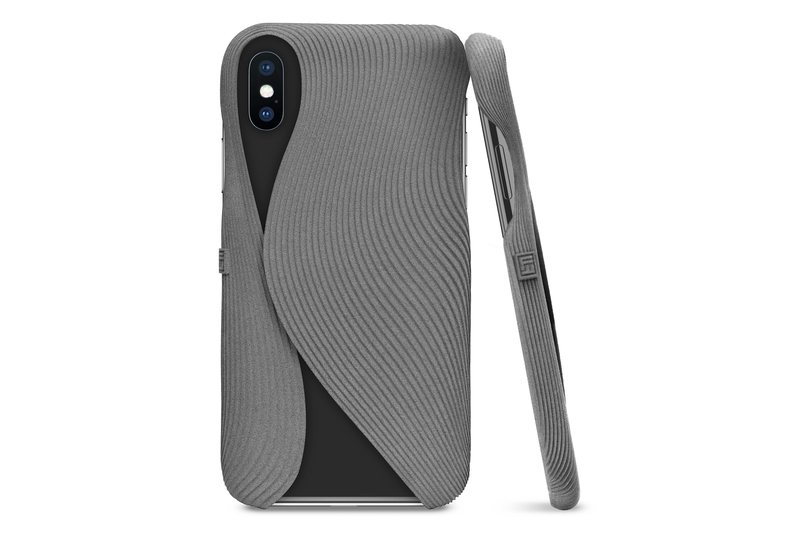 The iconic architectural fold flows from the contour of the iPhone X, resulting in an intriguing silhouette that’s both practical yet aesthetically pleasing. 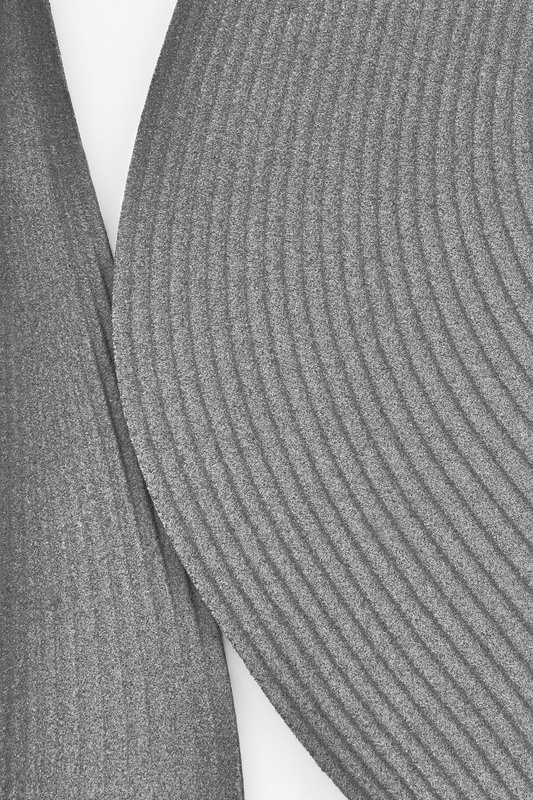 The Fold Collection explores the fluent, dynamic movement of draped textile and its geometry. 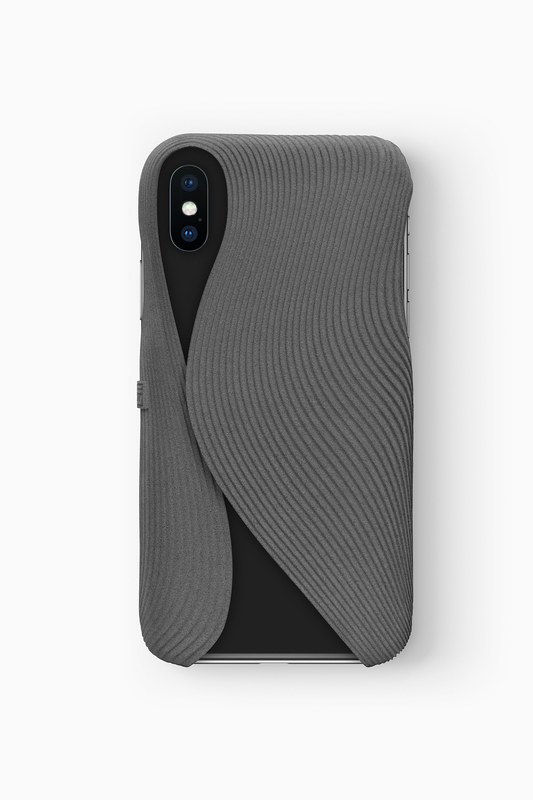 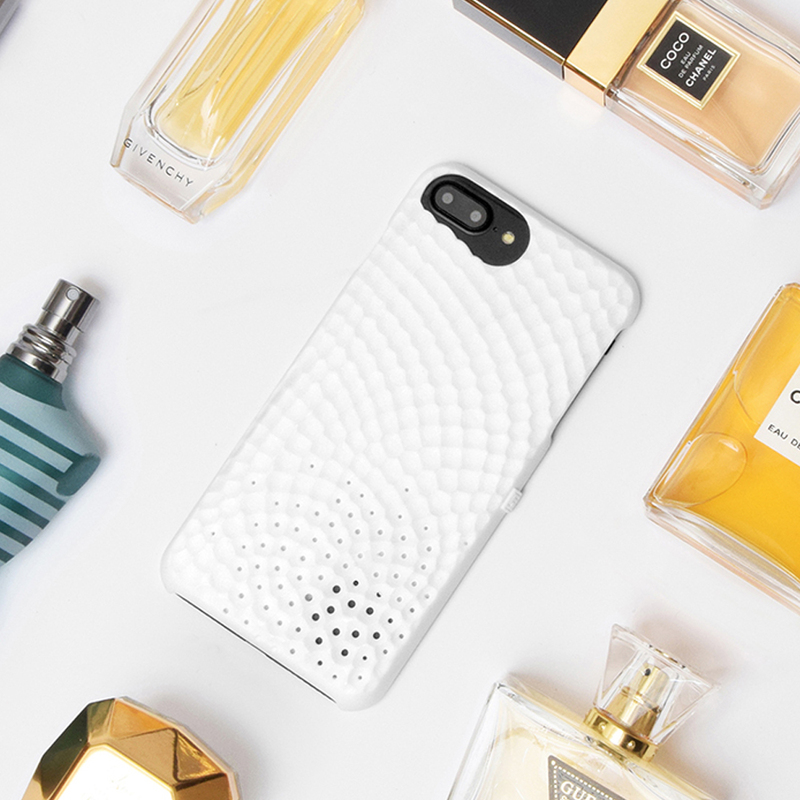 Draped in intricate ways, the Fold Case curves smoothly along the iPhone X’s exterior. 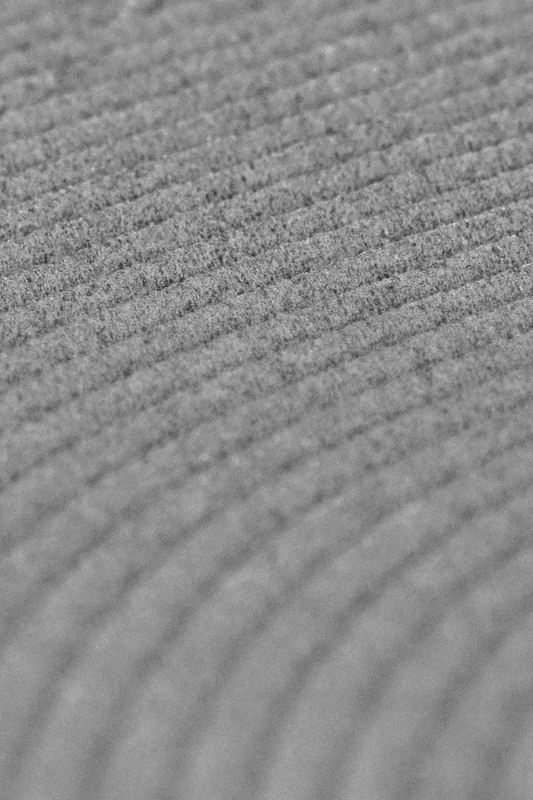 Influenced by structured garments and architectural lines, the smooth, undulating pattern creates a topographical landscape, radiating from the outer contour towards the inner signature fold. 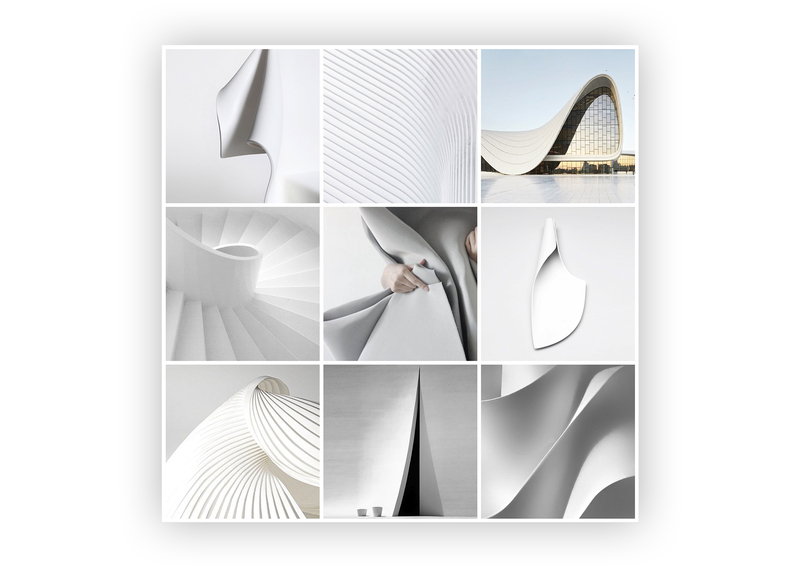 This results in a characteristic silhouette with emphasis on structure, shape and form. 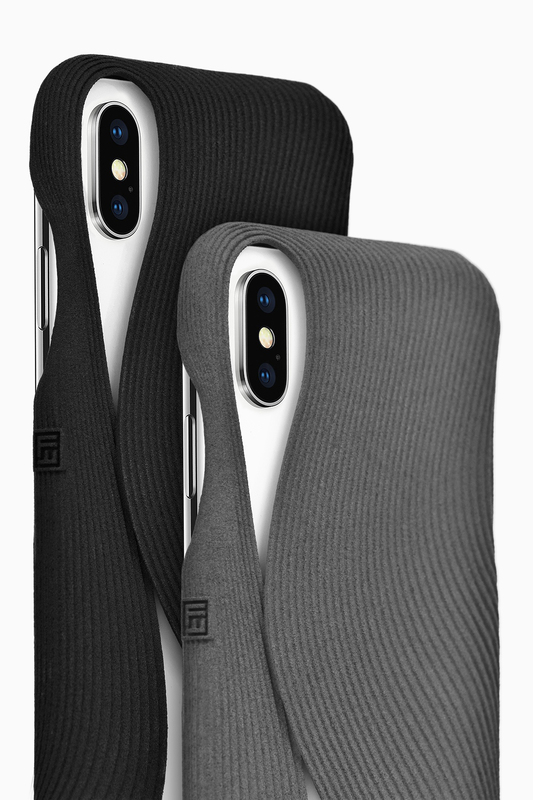 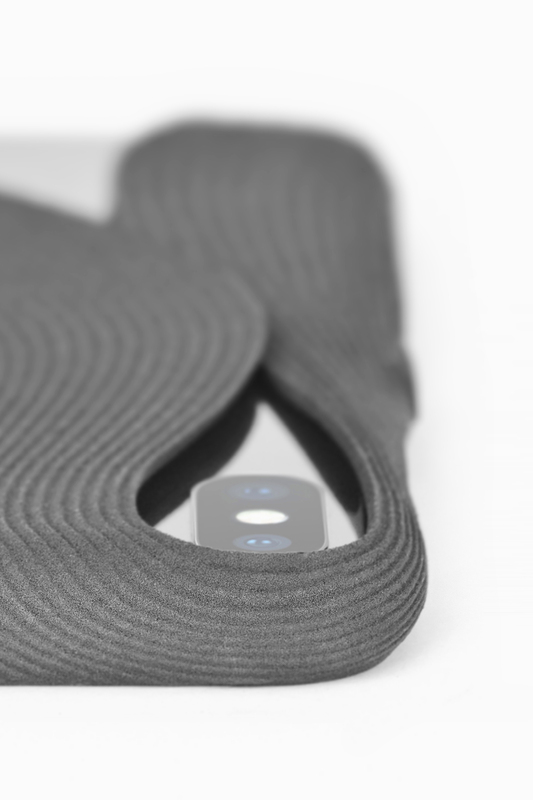 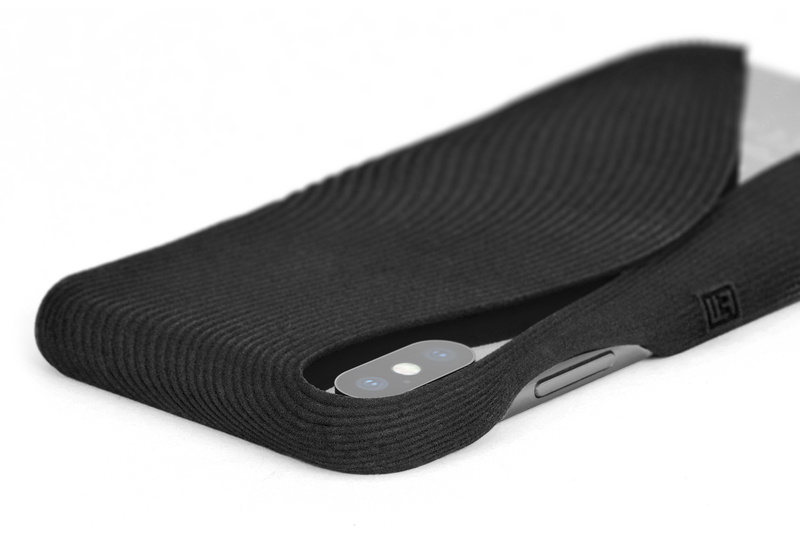 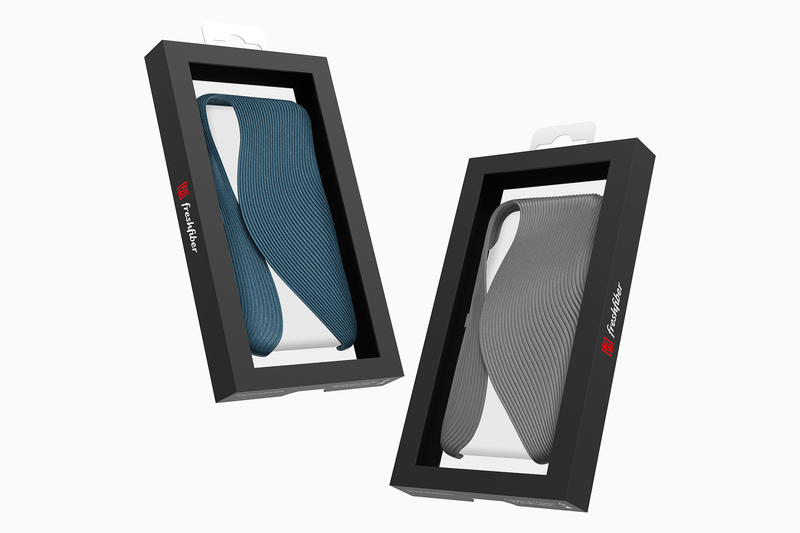 The Fold Case is now available for purchase online via Freshfiber. 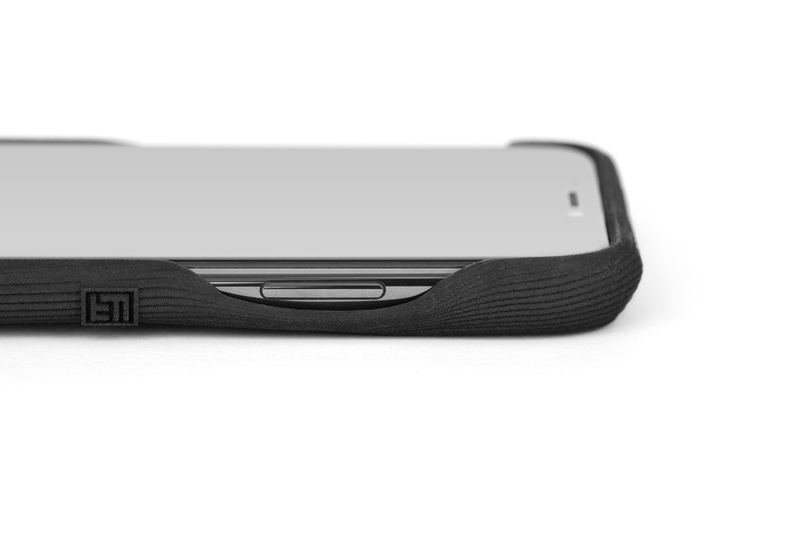 The Fold Case is constructed from strong and flexible nylon plastic. This makes the case strong and light, but also enhances the design by making it slightly bendable and giving it flexibility, helping to absorb shocks. 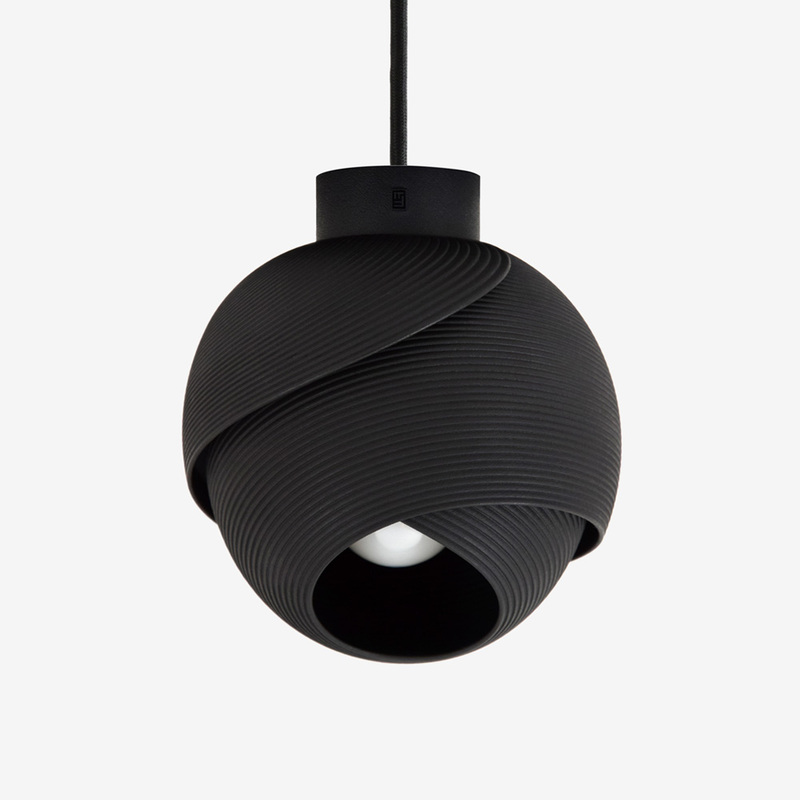 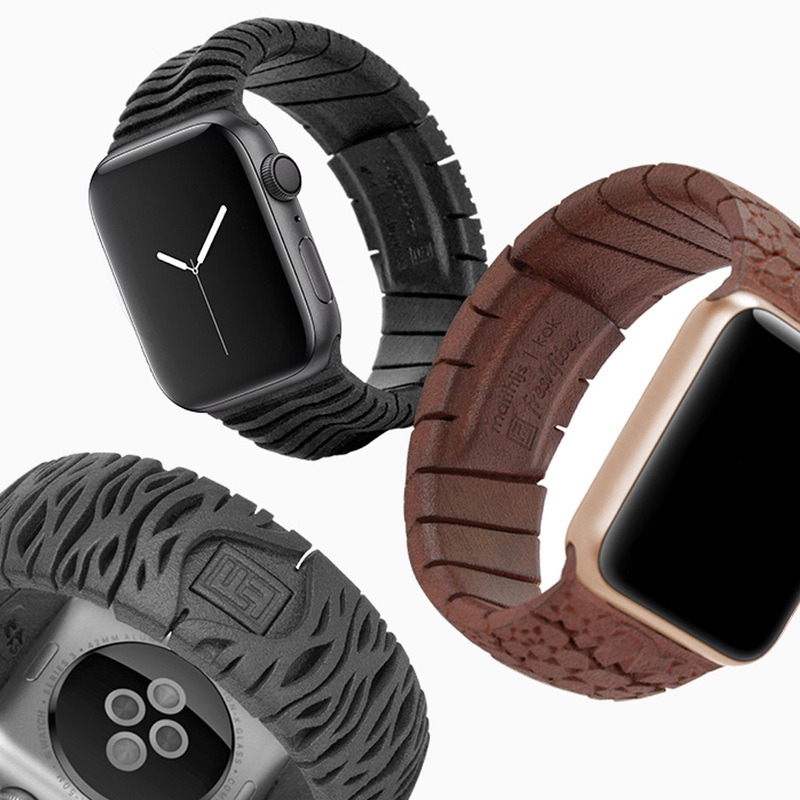 The shape is not only designed to be aesthetically pleasing, but also functional. 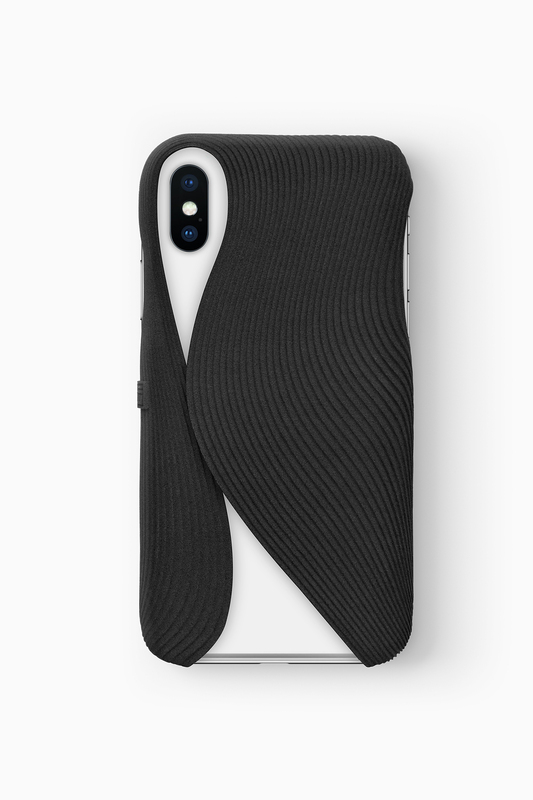 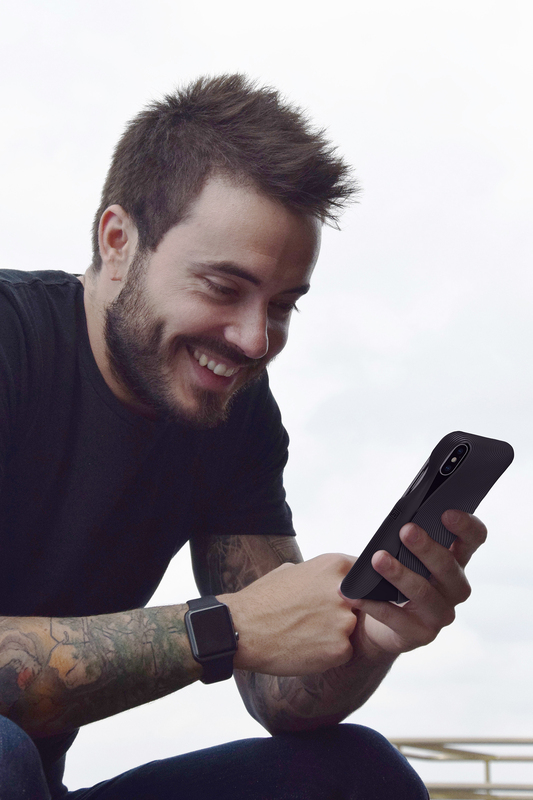 The asymmetric design wraps around the iPhone X, protecting the device everywhere it needs protection. 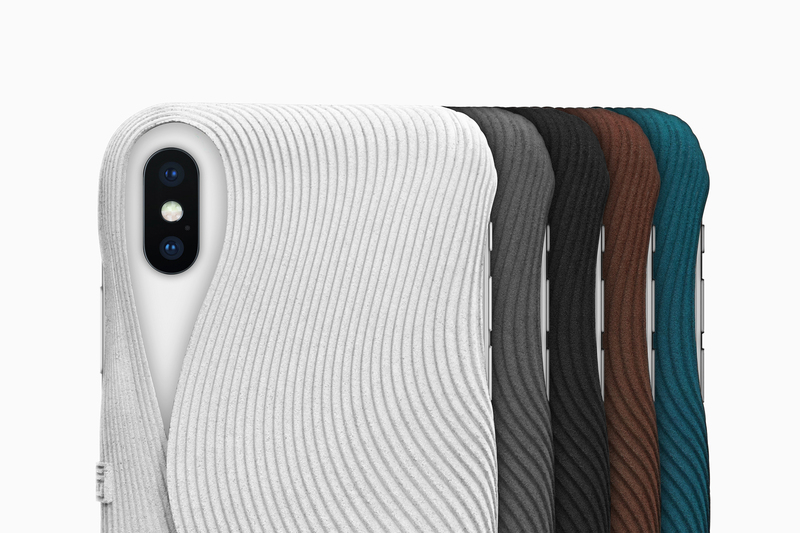 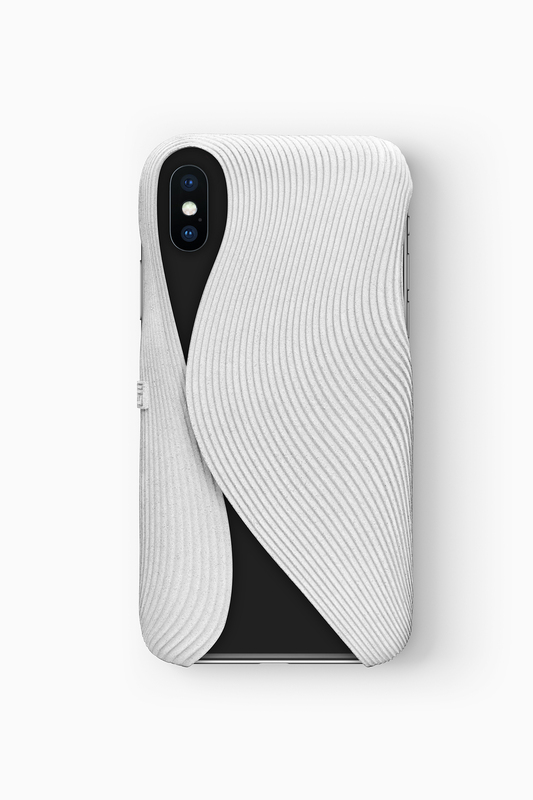 FOLD comes in a modern minimalist palette to match the monochrome iPhone X: White, black, grey, teal & brown.